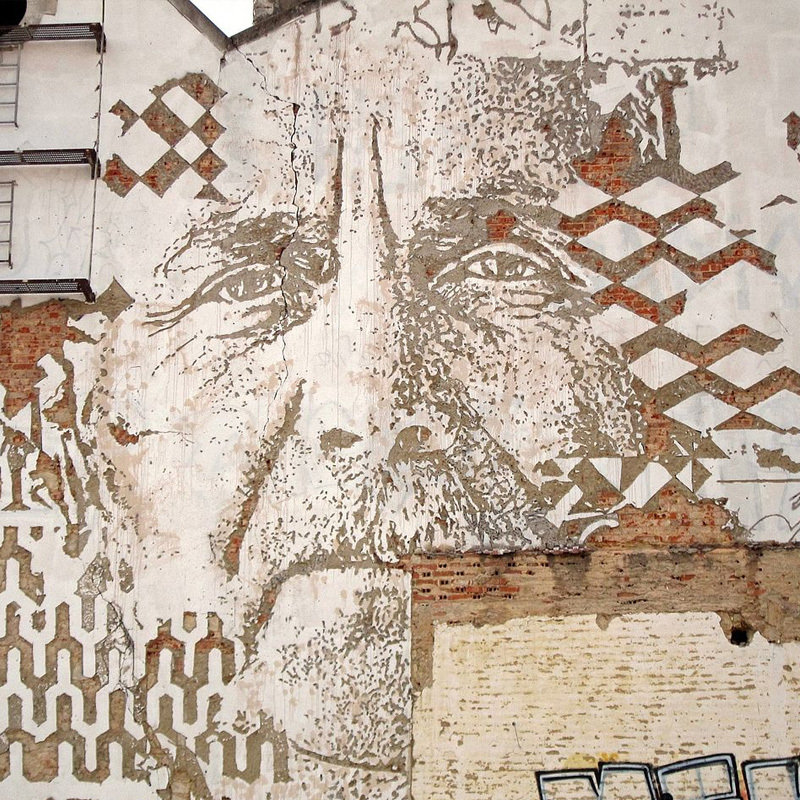 Vhils (b. 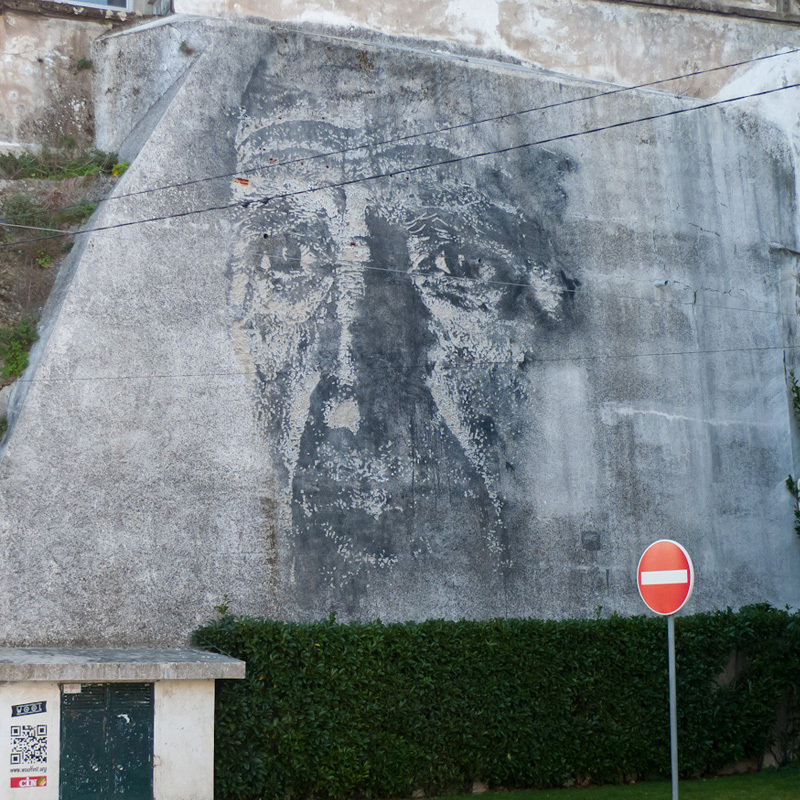 1987) is the tag name of Portuguese street artist Alexandre Manuel Dias Farto. 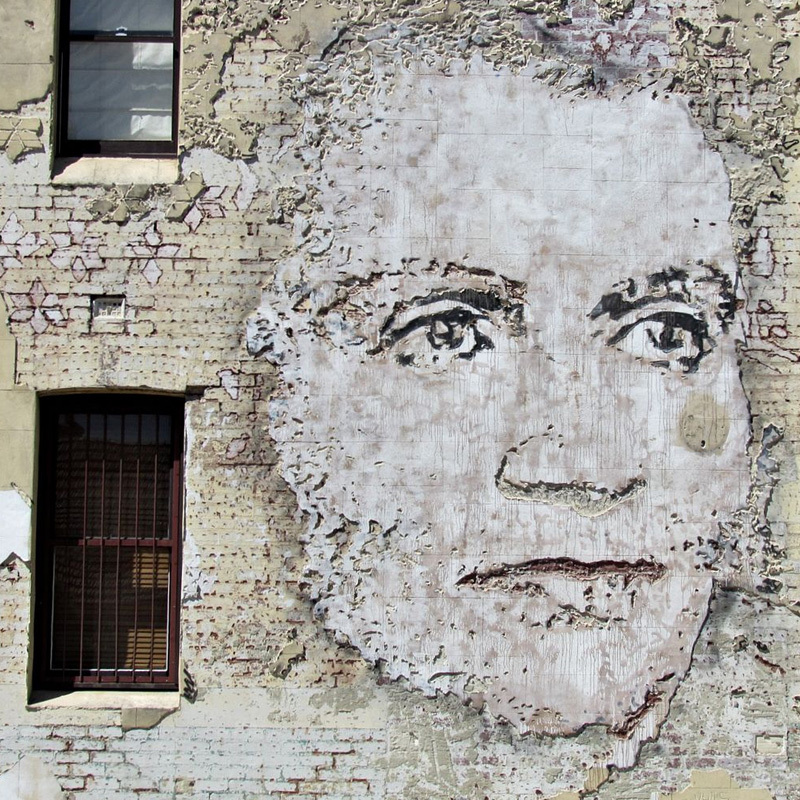 Vhils lives and works in London – where he studied at the Byam Shaw School of Art – and Lisbon and first gained prominence when one of his pieces appeared alongside a work by Banksy at the Cans Festival in London in 2008. A photograph of him creating the work appeared on the front page of The Times and he was later given space to show his work by Banksy’s agent, Steve Lazarides.